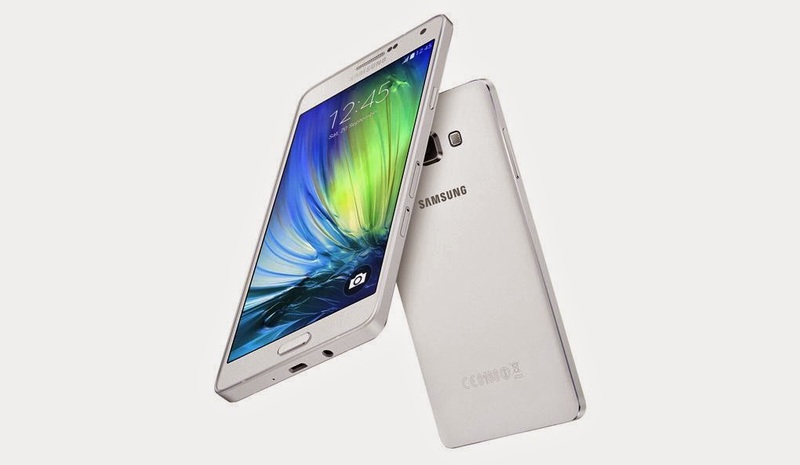 The official and new member of the Galaxy family "A7" by Samsung is official with a 5.5inches screen and metal frame. 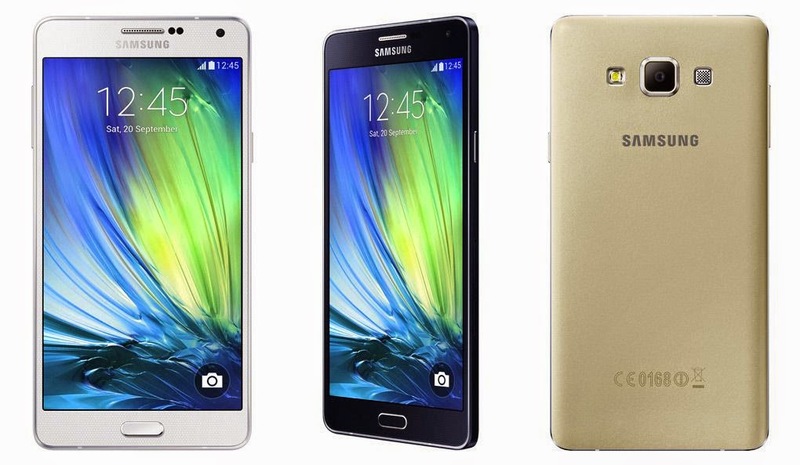 The Galaxy A7 is the third phone Samsung did with a steel frame , after the Galaxy A3 and Galaxy A5. 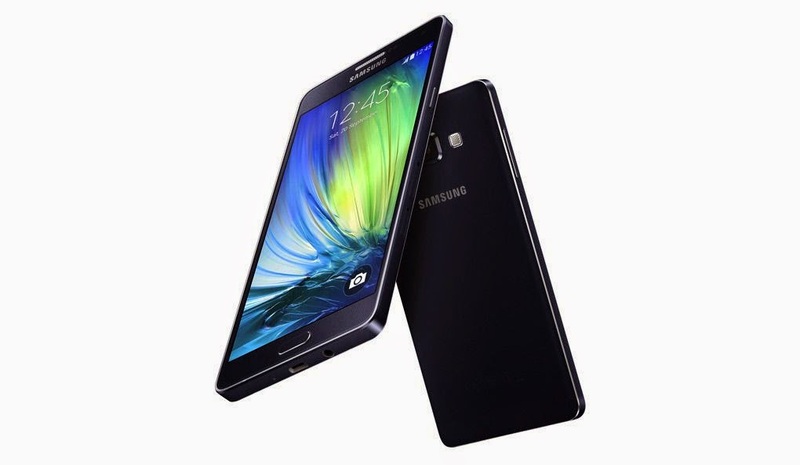 Like the two aforementioned smartphones, the Galaxy A7 reserves the very thin profile metal "A series" of Samsung, while the dimensions of the device are 151 x 76.2 x 6.3 mm and weight of 141 g. The greater part of the front portion of the device occupies the HD Super AMOLED screen diagonal 5.5" and also a camera with a resolution of 5 MP. In the rear portion ts device is still a camera , analyzing 13 MP. Inside the Galaxy A7 there is either the chipset Snapdragon 615 (64bit) of Qualcomm, with four cores at 1.5 GHz A53 and A53 to four more 1.0 GHz, or the chipset Exynos 5430 of Samsung, with four cores 15 at 1.8 GHz and four A7 at 1.3 GHz. The phone also has 2 GB RAM memory , 16 GB of storage (expandable via microSD card) , while the device battery has a capacity of 2600 mAh. It will be released on the market and Dual-SIM version of the phone, while preloaded in it will be 4.4 (Kit Kat) version of Android. 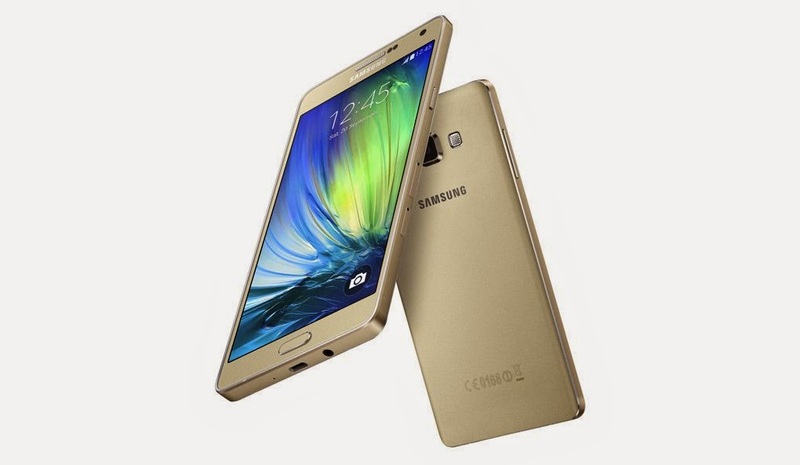 The availability of Samsung Galaxy A7 is expected to be within the first quarter of 2015, in blue, white and gold color.